A Enric Gallego (32 years old) the First Division train has been late for what is usual. For him, just in time. The Catalan has signed this Wednesday by Huesca until 2022 with 32 years already completed. When many already think about the end of his career, Enric enjoys his best stage in his first year in professional football. Now, the Catalan begins its journey at the top. But the beginnings were not easy. As Rodrigo Morán told the beginning of this season in the newspaper of Extremadura, football did not give Gallego until very recently. After leaving him for two years for a suspension of his team in youth, Gallego resumed the love for football at 20 in Regional Third in the team of his neighborhood. He went to work and then, he trained and played like any boy in his age. No dreams of First. The regional one was small fast. He jumped from category to category to reach the Third Division with the Premiá de Mar. His first opportunity in semi-professional football was working as a truck driver for the company of his mother's cousin. He confessed to be about to have a serious accident to fall asleep at the wheel. His football career continued in parallel with the work. For safety left the trucks, passed through the subsidiary of Espanyol B and went to Cornellá, where he reconfigured his work in the field and on the street, more specifically, for a bicycle rental company. Your resume is complete: bicycle rental, installer of air conditioners, bricklayer's peon ... and forward. No it was until the 27 years when he decided that his only job would be soccer, already in Second Division B. He passed by good part of Catalan football (Badalona, Olot and Cornellá). 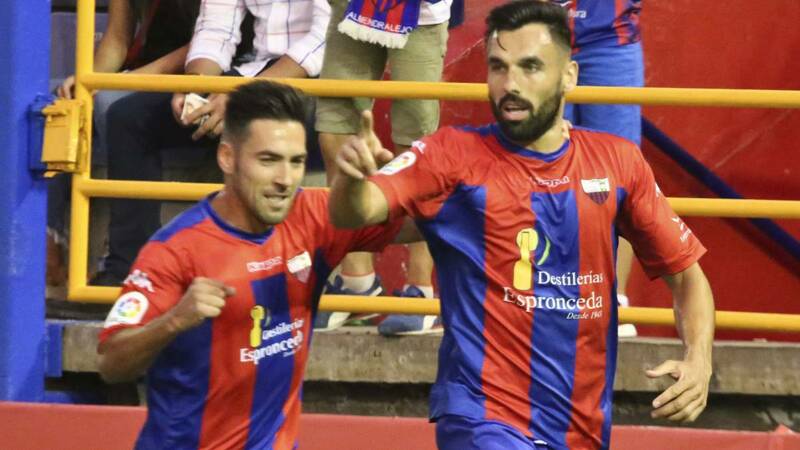 De Cornellá left for Extremadura and achieved the promotion to Second with notable figures in the complicated category of bronze (29 goals in 40 games) . Llegó professional football at its best and after being the most prolific scorer in the Second Division in this first round (15 goals in 19 games), he gets his first chance and the challenge of his career, saving Huesca to stay in the First Division. A Enric Gallego has to keep working.